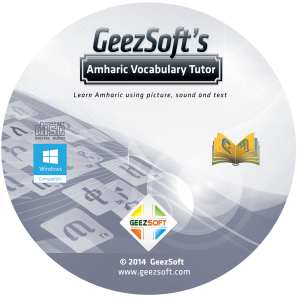 Amharic Vocabulary Tutor uses pictures, sound and text from a category of selectable titles to teach Amharic vocabularies. Four pictures are show on the screen at a time to hear. Amharic text and phonetic text are also optionally displayed on the screen. After, the user learns the pronunciationby hearing the sound and reading the text, the user can to quiz self on what is learned. Immediate right or wrong response is shown on the screen when quizzing.